Devils invite Fife back to the Bay on Wednesday evening. Last time we played them we ran out 7 - 2 winners so lets hope we can do similar again and put the weekends disappointing results behind us. Okay lads last weekend is history now, tonight we have the perfect opportunity to get back on track, Flyers will test us tonight, and will want the points big time. We need to want those points more, play like we are capable of playing, and that means for 60 mins, I would love to see us come out all guns blazing, get our great fans into it straight from the get go, get the atmosphere buzzing and together rip the Flyers apart. Very good teams pick themselves up from set backs, and we are a very good team, so tonight let’s show exactly what we are made of, LETS GO DEVILS. Expecting to see a huge reaction from the players tonight after last weekend’s very poor showing. Whilst a win is needed, I am expecting to see the players busting a gut and getting back to what we have seen earlier in the season with strong fore and back checking which eases the load on our D. I also hope Lord realises we actually have a 4th line and uses them effectively which hasn’t been the case of late. Certain players have been coasting of late and they need to realise that we cant just turn up expecting to win, hard graft is needed and not just depend on the likes of Dixon to do all the donkey work. I still feel we need to strengthen the D and hope that will happen this month. Expecting to see either a change in style/tactics or some changes in pairings to make things more effective. Hoping to see Matthew Myers' skills being utilised far more than of late - a reunion with Joey Haddad would be even better as they had chemistry together last season. If we boast four line hockey, lets see plenty of it, especially against EIHL teams who do not have that luxury. Devils should be using that line to wear down the opposition, retain and carry the puck, give our skilled forwards a rest. Tonight is a great opportunity to do this. Panthers and Giants run 4 lines automatically. Keefe and Chernomaz trust their players. We do run 4 lines. Most NHL 4th lines see 4-5 minutes of ice time per game compared to the 15+ of the top lines. I think MM would produce at a much better rate on a better unit, but happy with him where he is. is generally how 4th lines should be utilized. If we role 1-2-3-4-1-2-3-4 watch how many times the oppositions top unit end up pinning Moore, Duggan, Myers in our own end, or even scoring. You’ve probably given the worst example in Belfast. Their 4th see less ice than any of the other top teams. Now that's impressive knowing that.. You must be really into stats..Of the teams that run 4 lines, how are they ranked? Weird feeling in the IAW tonight. Team are rattled. In D we look devoid of ideas when we are on the puck and in the offensive zone we simply aren’t getting anywhere near the net. 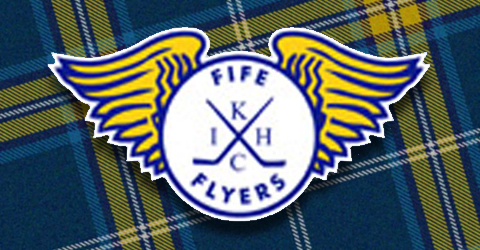 Devils look bereft of confidence and are making a very average Fife side look half decent. Nobody has started yet. Not a single check finished and we can barely pass to each other. What has happened to the hockey of a few weeks ago? We have a blip every year but we need to get out of it on and off the ice. Zorb postponed to second intermission because the guys at Dominos weren’t ready...so now Zorb and CaP in the same intermission? It’s the perfect metaphor for how we are on ice. Everybody needs to step back, take a breath and go again. We are a brilliant play or a scrappy goal away from it clicking and we all know where that leads. IAW flat tonight but it’s a combo of the on ice play; the Blood news; and general malaise. Need Chuck/Gleason to light this place up in the second and let’s get it going. Can some for the love of god please screen the goalie. Owens is getting a clear view of everything that his coming his way. Personally need a few of them to stand up and lead cause for a team of leaders that isn't exactly shining through right now. We concede way to many goals I said this a while back. I personally blame bowns as well as the defence but every loves bowns it’s never his fault he’s the best in league haha. Il tell the jokes. One person who has contributed a quote to this thread knows absolutely nothing about ice hockey! Zilch, nowt, nadder! In fact, I'm wondering if it's some sort of Chillie tribute act. It may be directed at me but I’m pretty sure conceding 6 to blaze, then 5 to flames losing both games at home, then conceding 3 to panthers losing away and again at least 3 tonight. Is that not enough! Lose tonight and we have lost 4 out of the last 5 and your still happy about that.. I sure as hell am not. How many goals would you argue should we have conceded at this stage?